Hank McCoy is a very versatile character within the Pro Wrestling industry, currently working shows in two very different roles. 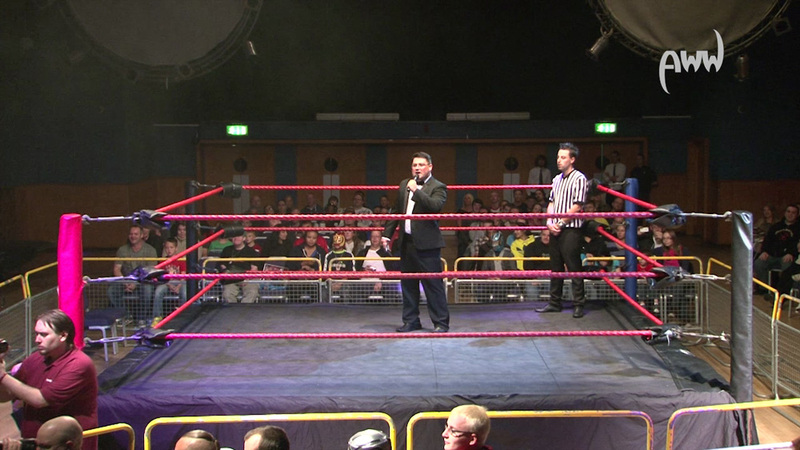 “The Master of Ceremonies” Hank McCoy, one of the best hosts and ring announcers in the UK today. With his signature tuxedo and a subtle nod toward the World of Sport days, MC Hank McCoy fires up crowds and dramatically increase merchandise sales during the interval. McCoy keeps the energy high throughout, and sends the audience home happy and wanting more – armed with the knowledge of when, where, and how to find your promotion next time. “Good MCs sound the part, great MCs also look the part – then there is Hank McCoy; the total package” MC Hank McCoy was interviewed by one of the UK’s best wrestleblogs, “Jimmo’s Angle” – click here to read it! “Mr McCoy”, a despicable heel Manager inspired by the fantastic Bobby Heenan but with a darker, angrier edge. With great mic skills, he is able to cut fantastic, provocative promos, that generates heat, tells a story and like on more than one occasion, makes the kids cry. McCoy is not afraid to get his hands dirty and can be seen tripping, choking and passing the knucks to ensure victory to his charges. The McCoy Family is always looking out for new members. Regardless of working heel or face, McCoy is known for his animated style and ability to work the crowd, bringing an unique energy and enthusiasm to his performances. Using skills garnered from his 5 years of radio broadcasting experience, as well as acting classes, and not forgetting mentoring from Dragongate:UK’s brilliantly talented Larry La Rue, he was set in good stead from day one. FWA, DWA, AWW, PRO EVW, PRO WRESTLING CHAOS, JAMES MASON’S GSW, WELSH WRESTLING, PETE COLLINS’ NSP, BAWA & NBWA. For bookings, please contact Hank directly via Facebook or Email. Hank McCoy is a member of the #MediaHorsemen, and along with Leo Orbison and Ref Paz, make up the best front-of-house staff in British Professional Wrestling.